My cutie patootie is just shy of turning 1 year, and she's out of the swaddle stage. I can't believe how quick she's grown... it feels like it was just yesterday that I brought her home from the hospital. Just because I no longer swaddle her, doesn't mean that I don't use all the swaddle blankets that I have at home. I'm always using them, whether it's to keep her warm and cozy in bed at night, or if I wrap one around her legs when she's in the stroller. I personally believe that you can never have too many baby blankets at home, as they get spit up on or pooped/peed on! It never fails, there's always some type of diaper explosion while out, so I always have an extra one packed in the diaper bag. My latest find when it comes to baby blankets, is an awesome swaddle blanket package of 3 from Ziggybaby. The company was formerly known as SavvyBaby, in which I've heard of in the past. I was fortunate enough to get to review their product recently, even though my daughter no longer is being swaddled. Brianna loves testing out new baby products, and was super happy to play with the packaging and muslin blankets! The item came wrapped in a box from Amazon.ca, and the inside was lined with newsprint packing. The actual packaging for the product is a clear plastic bag that's sealed around the product, which lets you view the three different designs of the blankets. They're being held together by a label that's wrapped around them, which has the color scheme of whie, grey and a dark lime green. The actual blanket color is white with a grey design on them. 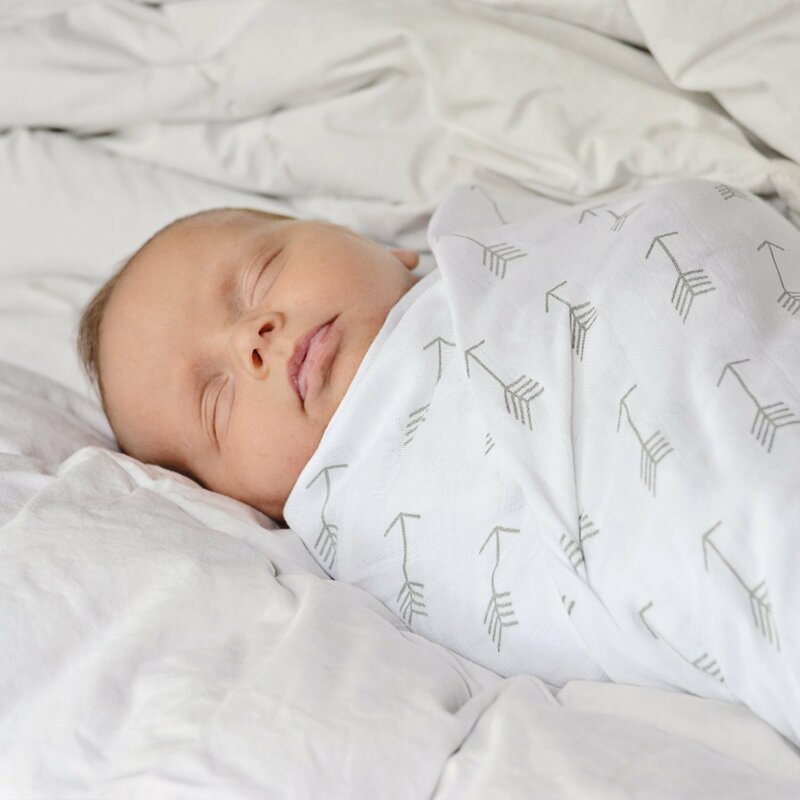 The blankets are 100% premium muslin cotton, and are huge when it comes to being a swaddle blanket. The sizing is 48" x 48", whereas most are around 40" x 40" in size. What I love abour muslin cotton, is that it's perfect for the summer months with a warm climate. The fabric is able to breathe easier than others, which helps prevent your little one from overheating. See the picture of my little monkey below... she loves her soft blankie!!! Interested in buying some Muslin Blankets for someone as a gift, or for yourself? Sure you are... click here to grab yours today. Interested in checking out their Facebook page? Of course you do... you never know when you may come across a deal!